Meet Rachel Owens – new middle school math teacher! You will find Ms. Owens in Hermitage House this year. Ms. Owens was born and raised in Chesterfield, Virginia. She graduated from Virginia Commonwealth University. After graduating college, she worked for a baby stroller company in Henrico. Looking for a challenge, she joined Teach For America in 2012. Teach for America sent her to Montgomery, Alabama where she taught High School Math for 2 years. 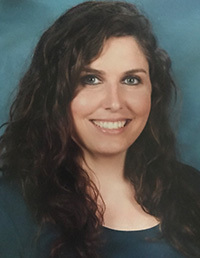 Upon completing her Teach For America commitment, she moved to Abu Dhabi, United Arab Emirates, where she taught Middle School Math to local students for 3 years. In August 2017, she moved back to the Richmond area. Ms. Owens loves spending time with her dog and traveling during school holidays.